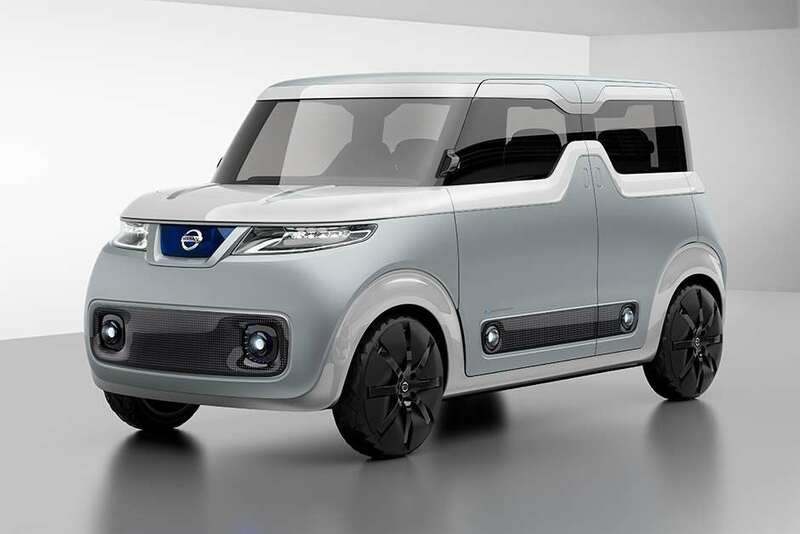 Nissan will be presenting more than 20 vehicles on its large stand at the 2015, including a handful of concepts. Chief amongst these with be the latest Nissan Concept 2020 Vision Gran Turismo, a concept supercar developed in conjunction with Polyphony Digital Inc., the creators of the racing video game Gran Turismo for PlayStation, is certain to further increase Nissan’s sizable presence in the game and beyond. The 2014 Festival of Speed here at Goodwood saw the exclusive global reveal of the latest creation in the Vision Gran Turismo Project. For the Tokyo Show, Nissan’s latest Concept 202 will be painted in an arresting new colour, Fire Knight red, with the prototype featuring a new expression of Nissan’s signature ‘V-Motion’ grille. Nissan states that its latest Concept 2020 Vision Gran Turismo is ‘a real-world embodiment of a virtual car, through which gamers around the world experience Nissan’s dynamic performance and innovation’. We think it may be more than that, with some possible styling clues for a future-generation GT-R model. Among the exhibits on the Nissan stand in Tokyo will be the unusually named ‘Teatro for Dayz’, an innovative concept that signals a new direction in mobile technology for the Japanese marque. This boxy concept has been designed specifically for the ‘digital native generation’ with this vision of near future departing from convention and marking a shift in perception. Nissan will also display the appealing Gripz concept coupe that was first revealed at the 2015 IAA Frankfurt Motor Show last month.